HIND Unilever closed the week on negative note losing around 1.70%. As we have mentioned last week that minor support for the stock lies in the zone of 1075 to 1085. Support for the stock lies in the zone of 1030 to 1040 where Fibonacci levels are lying. If the stock manages to close below these levels then the stock can drift to the levels of 1010 to 1020 where Fibonacci levels are lying. During the week the stock manages to hit a low of 1064 and close the week around the levels of 1080. Minor support for the stock lies in the zone of 1060 to 1065. Support for the stock lies in the zone of 1035 to 1045 where Fibonacci levels are lying. If the stock manages to close below these levels then the stock can drift to the levels of 1010 to 1020 where Fibonacci levels are lying. Minor resistance for the stock lies in the zone of 1095 to 1100. Resistance for the stock lies in the zone of 1120 to 1130. 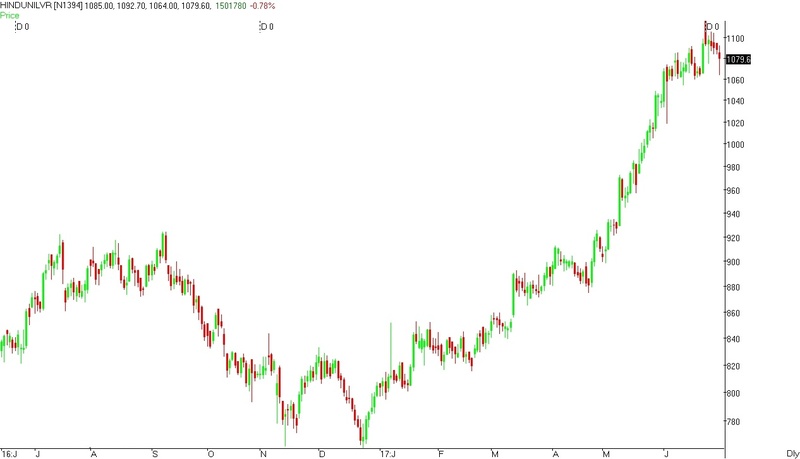 If the stock manages to close above these levels then the stock can move to the levels of 1160 to 1170. Broad range for the stock in coming week is seen between 1050 to 1060 on downside & 1130 to 1140 on upside.